BPT628: Get 15% off your entire purchase. 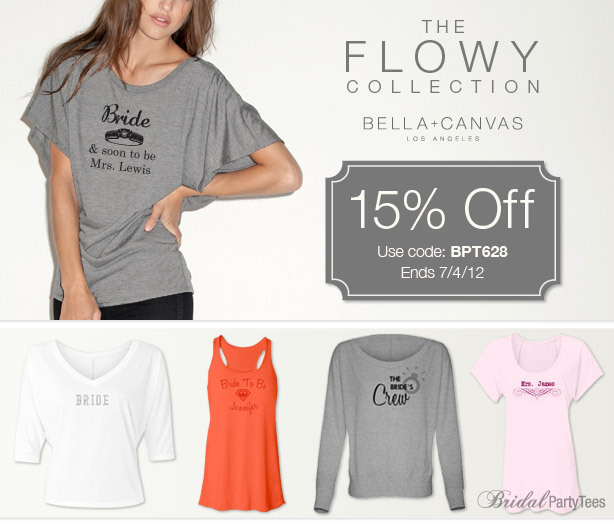 The Flowy Collection by Bella+Canvas features five new fashion-forward tops. Your design on all Flowy tops will be slightly transparent, allowing the color of the garment to show through, giving it a more fashionable look. Offer ends 7/4/12 at 11:59 PM EST.